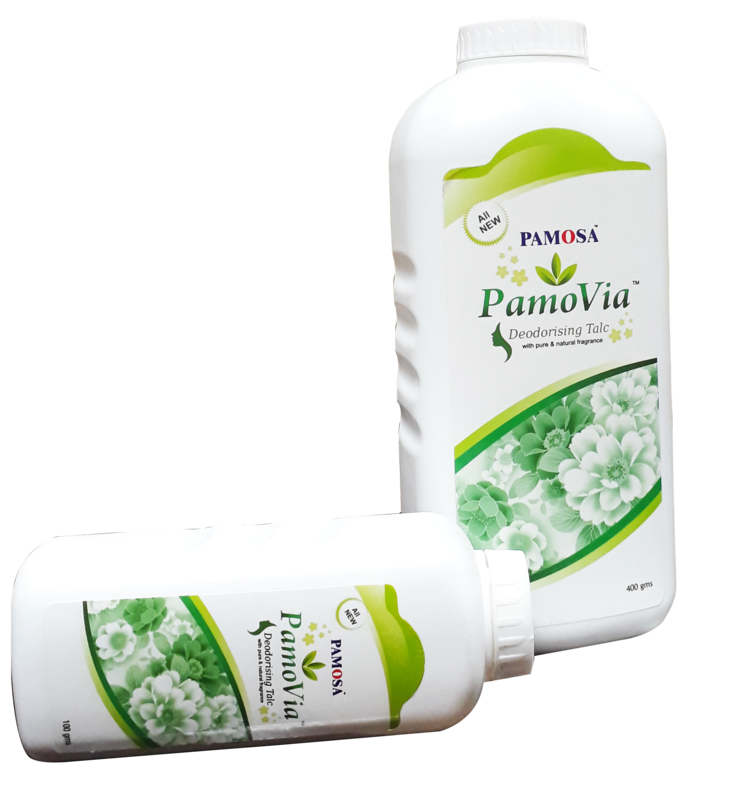 PAMOVIA Talc now with an added deodorizing effect which provides superior sweat absorption, prevents body odors & has a cooling effect. This comes to you in an “easy grip” contemporary & attractive package. It has added fragrances to keep you “extra” fresh through the day. Please store in cool and dry area. Apply on face & body to even out your skin tone and make it look non-patchy or oily with this powder.